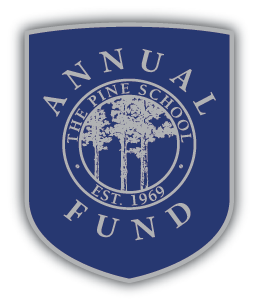 The Pine School Annual Fund directly supports Pine’s students and faculty, providing essential support for continued academic, programmatic and aesthetic enhancements. In recent years the support of our donors through the Annual Fund has provided for extraordinary educational opportunities to students from K through grade 12. In addition, it helps us host a variety of community events that draw positive attention to our school. Every gift to the Annual Fund has an immediate and significant impact, and your participation in the fund reflects the strength of The Pine School community and a shared commitment to its students. For more information, contact the Development office at development@thepineschool.org.